Admissions to the First Year of Junior College (F.Y.J.C.) will commence only after the results of the SSC examinations are declared by SSC Board. The results of the SSC Examinations are usually declared by the Board by in the mid of June. Nothing builds self confidence and self esteem like accomplishment, therefore we celebrate the many achievements of our students through various events organized in our college cultural fest "TARANG" an event full of fun and frolic which provides a platform for the students to express their creativity in the cultural activities and an opportunity to hone their skills. To perpetuate the memory of a great scholar and his love and affection for his fellowmen, the first of Sardar Dastur Schools i.e. 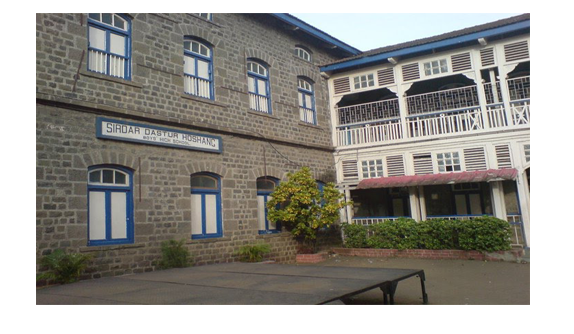 Sardar Dastur Noshirwan Girls High School was established in February 1893 by Khan Bahadur Meher Hoshang Dastur. Subsequently in January 1912, The Sardar Dastur Hoshang Boys High School was established and Bai Najmai Noshirwan Dastur Primary and Nursery School came up in 1953. Later in 1998, the Sardar Dastur Hormazdiar High School came into being. With the aim of giving children a comprehensive, sound, thorough and all- round education at the school level, The Sardar Dastur School Trust established the Sardar Dastur Hormazdiar Junior College in 2006. We live today in a world that is so very different from the one we grew up in, the one we were educated in. The world today is changing at such an accelerated rate and we as educators need to pause and reflect on this entire system of Education We at SDHJR COLLEGE work at implementing a well-balanced curriculum to ensure that the STUDENTS who walk into the portals of our Jr. college will be truly prepared to face life's challenges.